Radically Improve your Health, Wealth and Relationships. If this site helps you, please let the world know! Fast Results. Short and to the point. 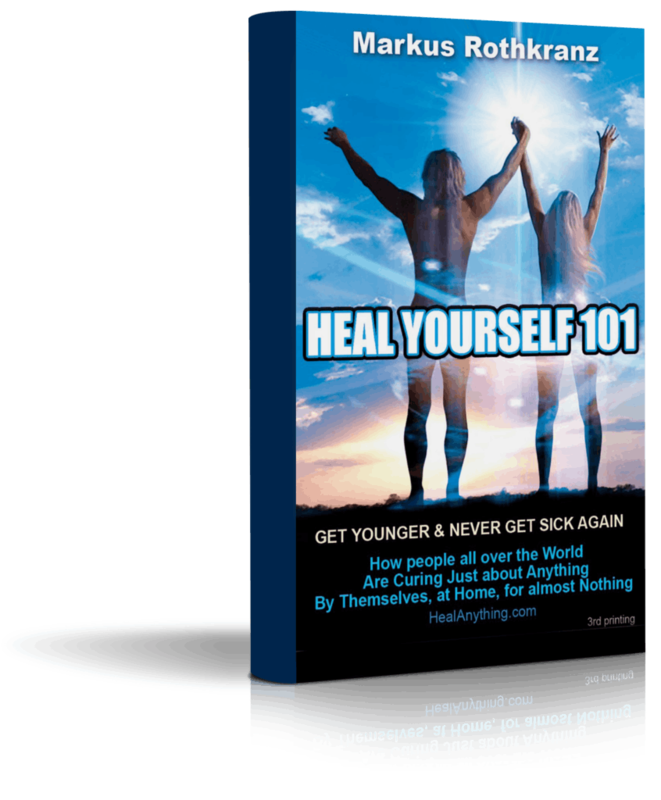 Download my life-changing book "Heal Yourself 101" for FREE! Welcome to TheHealthyLife, the website that can radically change your life. Whatever issues you may have in life, I strive to help you find a way through. See The Latest Life Changing Videos. The Ones Everyone is Talking About and Sharing! Who am I? I started just like you...not knowing too much about money, success, relationships, health and what to do with my life. I failed miserably in all categories and it took me half a century to figure out why. I did everything society told me to do- I went to school, got a wife, a house, went to Hollywood, made lots of money... but I wasn't happy. Something was missing and I got terribly sick all the time. I didn't see the connection. I was so unhappy, I gave away everything I had, took my clothes off and literally walked naked into the desert southwest not caring if I ever returned. I totally gave up.If I didn't have a purpose, why should I even exist? Little did I realize that giving up was the best thing I ever did, because it cleared my mind, washed away everything society had programmed in me, and I was able to start over. I lost everything I had many times over. I almost died three times. I was penniless and literally lived in someone's closet for a while. I had allergies and asthma so bad my lungs were filled with fluid and I whistled when I took a breath. I was bleeding when I went to the bathroom and I had glasses thicker than a car windshield. I had talent as an artist but it never got me anywhere. I realized I was wasting my life waiting for other people to magically save me. But after a while, I realized if anything was going to happen or change, I was the one who had to had to make it happen. I also realized you cannot cheat life or health because there ultimately are no shortcuts in life. You have to do it right. It took me 50 years to figure it out. But it was worth it. I now live the life many just dream about. I have a dream relationship, have all the houses and cars I could ever want, I fly all over the world, I've met world leaders, spoken in front of thousands and made my own 2.5 million dollar Hollywood movie. Success is not about material things, but it's nice to know you can enjoy them whenever you want. I also figured out how to never get sick again. I no longer need glasses (no surgery) and I am in better health than people half my age. A clean healthy body helps foster a clean healthy mind and soul. I donate more money every year (to help animals) than I spend on myself. I realize the more I give, the more I am offered. But what we receive is not solely for us. Some of it we must give back to help those who cannot help themselves (for me that is animals). People on the other hand need to learn how to empower themselves and I show how to do that. It is one of the toughest things to do, but learning self-reliance is mandatory not just for being strong and healthy ourselves, but also for motivating others to do the same. Handouts do not create strength. Learning to do it yourself does. Material stuff comes and goes. People come and go. Life comes and goes. Just realize you don't ever really own anything. Everything in life is on loan to you - including your body. Learn to appreciate the gifts of life and you will be entrusted with more. Don't waste your life with negativity or bitterness - it's too short. Prosperity is not about money - it's the freedom to live the life of your dreams, go anywhere and do anything you want. Subscribe to my Photography Youtube Channel MarkusPix!